Learning how to surf is a rewarding adventure. Students generally begin their training by riding soft longboards and are introduced to surfing fundamentals, safety and ocean-awareness rules in a land lesson before entering the small surf to give it a try. 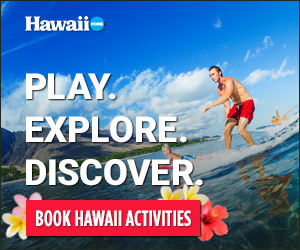 KAHALU‘U is a popular surfing site particularly attractive to beginners. The park’s REEF-PROTECTED LAGOONS attract crowds year-round, and the beach is guarded and popular with both snorkelers and surfers. One of the most popular and consistent surf spots on the east side of the island is HONOLI‘I POINT, near Hilo. This is a great place to watch surfers and bodyboarders.